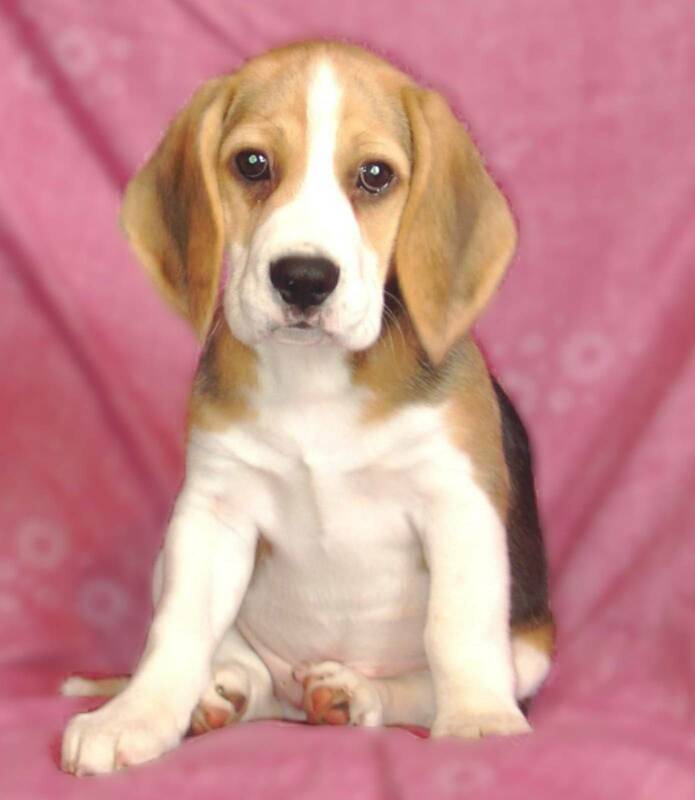 No discussion about beagles would be complete without mentioning food! Most breeds are “good eaters” and are opportunists when the chance of something tasty comes their way. Beagles raise that to a whole new level! One of the first changes I had to make to my kitchen was to ditch the “swingbin.” It was too much temptation and was scattered across the floor at every opportunity. It’s so easy to give in to those gorgeous pleading eyes - for your dog’s sake, resist! I quickly learned how easil y a beagle puts on weight - and how difficult it is to take it back off. For various reasons I prefer to feed mine twice daily, some breeders may prefer a once-a-day regime. Mine get a daily dog chew and biscuit at bed time as well as the occasional small portion of apple, carrot, left over chicken etc. (For what NOT to feed your dog click here) As your new beagle may well be a young puppy it will probably require 3 or 4 meals per day gradually coming down to one or two feeds. Your breeder will advise you about his diet when you take him home. As for choice of diet - that must be your decision. There is plenty of reading available on the internet on the subject. I personally think my dogs thrive better on a “complete” diet. When I changed them over they seemed to have more energy, their coats improved and poop patrols seemed easier to deal with! It’s important that your dog always has access to fresh water, even more so if on a “complete” diet.